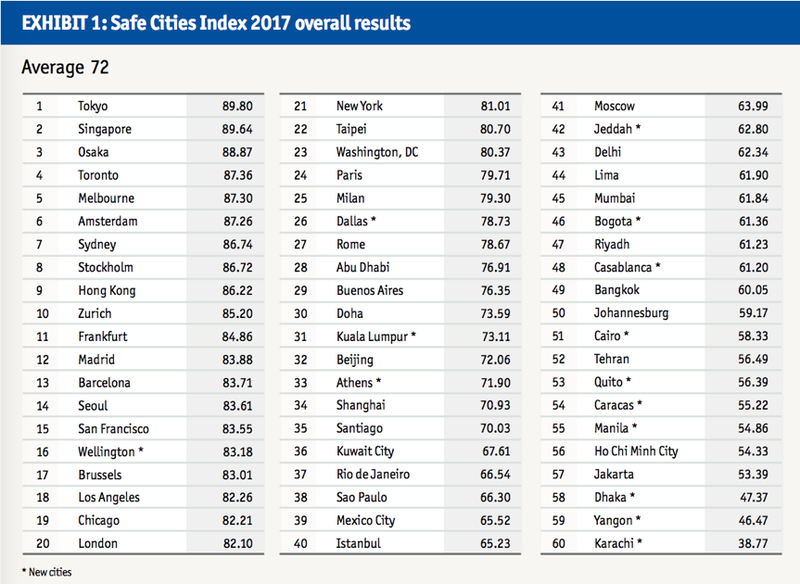 Tokyo has again topped the global rankings for the Economist's 2017 Safe Cities Index. The 2017 index ranked 60 major cities, scoring 49 indicators throughout four sub-indexes including digital, health, infrastructure and physical security giving each city a score out of 100. Two Australian cities made it to the top ten, with Melbourne ranked at number five and Sydney ranked at seven. The Japanese capital’s strongest performance came in the digital security category ranking number one with a score of 88.40. 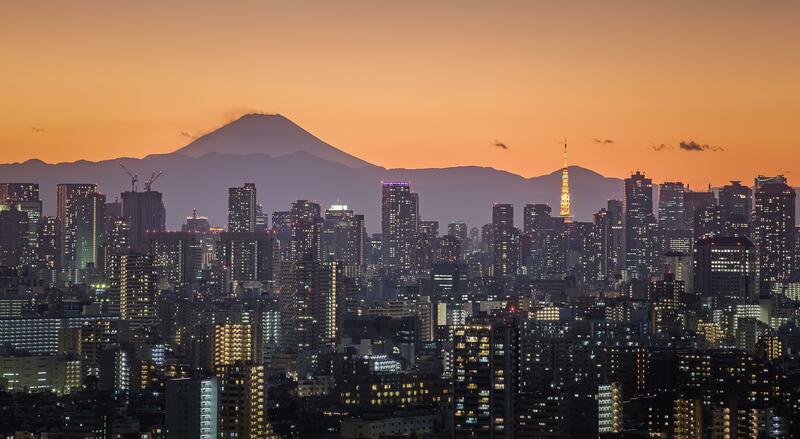 Tokyo has climbed seven points since 2015 in health security finishing second on 85.63, while in personal security, Tokyo has finished fourth with a score of 91.57. In many cities, security is falling rather than rising compared with the 2015 index. New York fell 11 points and Jakarta was down 13. Some cities have made improvements with Madrid gaining 13 points along with Seoul, which is up six. Security remains closely linked to wealth with cities in developed economies dominating the top half of the index, however the scores of high-income cities are falling. Of the 14 cities in high-income countries, the security scores of ten of these countries have fallen since 2015. European along with Asian cities remain at the top of the index with four of the top ten cities belonging to East Asia (Tokyo, Singapore, Osaka and Hong Kong) and three of the top ten are European (Amsterdam, Stockholm and Zurich). Dominating at the bottom of the index include countries from Asia, the Middle East and Africa. Dhaka Yangon and Karachi are at the bottom of the list while three out of the bottom ten come from South-East Asia (Manila, Ho Chi Minh and Jakarta) and two are in the Middle East and Africa (Cairo and Tehran). America’s failing infrastructure is reflected in its cities rankings with no US city making the top ten of this category and only one city (San Francisco) appears in the top 20. Tokyo topped the 2017 index with a score of 89.90 with Singapore a close second on 89.64. Osaka came in third with 88.87.